At the White House B&B is seeking to fill three positions. Wages depending on experience and references. Housing optional. Part time. Excellent opportunity for picking up a second job. Housekeepers (2) – One to work 3 days a week and another to work 4 days a week. Ideally, we operate with a relatively fixed weekly schedule for the summer. During the slower months of May & September, hours vary with the workload. Wages: Hourly wage paid every other week, $12.00/hour. Plus, a minimum end of season bonus of $2 per every hour worked, paid at season’s end when the employee successfully completes the season to an agreed upon termination date. Hourly bonus is nullified if employee quits or is terminated. Start/End Dates: Start date is flexible. Housing will be available in April and there is some work. Mid-May would be the latest for a start date. End date is also somewhat flexible. But through the month of September would be ideal. 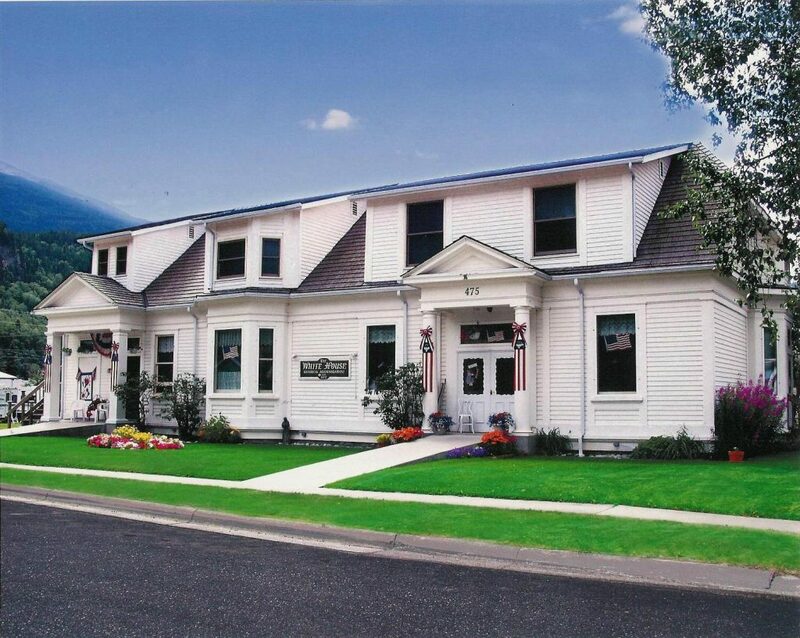 Employee Housing: There is an old Army barracks on site that has been converted into a duplex. One side is a one-bedroom designated for the Breakfast host. 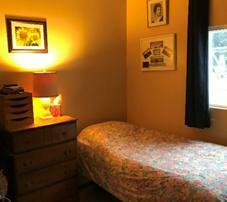 The other side has two bedrooms. 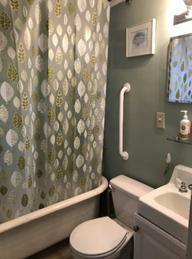 Both are available for monthly rental or in exchange for providing on-call coverage three nights a week from 5pm to 10pm. 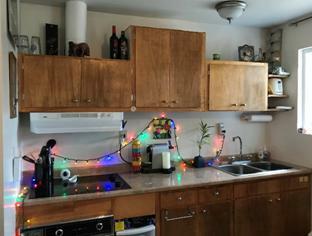 This is the kitchen and view from the one-bedroom unit (due to working hours – this unit is designated for the Breakfast host) the other end is a two-bedroom unit. 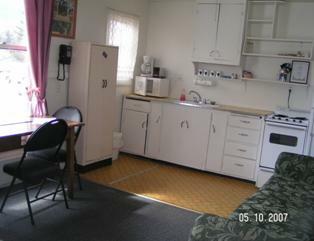 Fully furnished, kitchen stocked with kitchenware, linens provided. 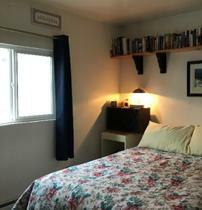 Below are images from the West End Apartment with two bedrooms. Please send a letter of interest to whitehse@aptalaska.net. We would also appreciate a completed application. It can be downloaded at http://jobs.alaska.gov/forms/genapp.pdf and then just scan it to our email address. We are located on the corner of 8th and Main Street, just west of the Public Library. Please peruse our TripAdvisor write-up as well. Neither John nor Jan nor Chelsey expected to make Skagway their homes, all having grown up out of state. John was a Utah boy with Montana roots and Jan grew up in Washington’s Pacific Northwest. And Chelsey reigns from California. But there is something special about this place. Whether you come for a season or make it your home, a summer in Skagway will change your life forever, in wonderful ways. Still keeping in touch with many former employees, we offer some testimonials. I worked at The White House several years ago, and I am so glad that I chose to take a leap of faith to come work for the summer! I have kept in touch with Jan and John all these years later. 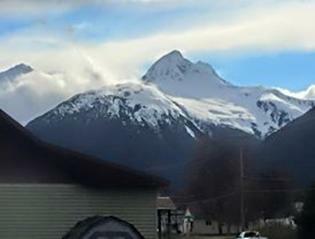 Skagway is a special little town, and Jan and John are special people! 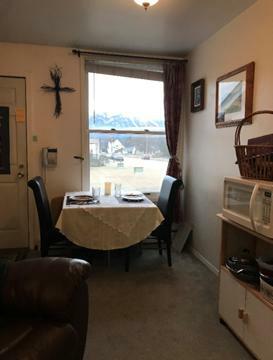 They are patient, kind, and love to share the joy and experiences that brought them to Skagway and made it their home. Working At The White House will be most rewarding because of the connections and stories you will hear, not only from guests from all over the world, but also with people from the town. 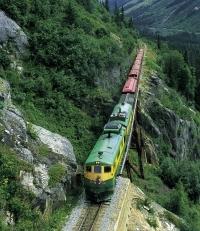 Skagway, and the fresh Alaskan air and mountains will stay with you forever. Running a B&B can be hard work, but you’ll take pride in helping to contribute to the legacy of the homey At the White House B&B. I highly recommend working At The White House!